Despite fears that digital tech may worsen depression, most teens and young adults surveyed said it did not make a difference. What's happening to our kids? 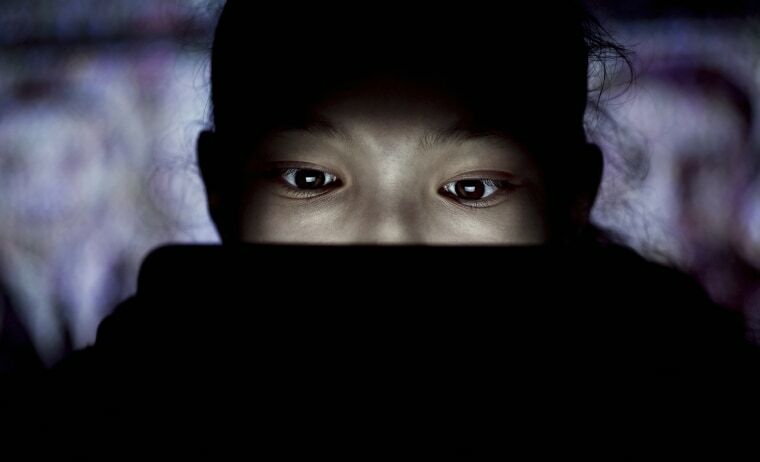 Depression, anxiety crisis deepening in U.S.
Not surprisingly, they found that many teens and young adults are using digital tech. They are using social media as a stand-in for a therapist — not so much for feedback, but as a way to vent. “Nobody calls suicide hotlines,” said one 17-year-old who frequents depression chats. Instead, teenagers are setting up their own private social media chats, often sharing experiences with people they have never met face to face. The survey confirms that the internet and social media provide safe spaces for people to talk about depression and suicide, even as they may steer them away from seeing medical professionals or therapists who are trained to help. Younger people in general are going online for health information, it found — 87 percent said they’d looked for some sort of health information online, including 39 percent who said they’d looked up information about depression. But just 20 percent said they’d used messaging, apps, or texting on video chats to actually connect with a health professional. Instead, they are talking to each other. The real action, for teens at least, is on the phone-based apps such as Instagram, Twitter and Snapchat. Young women and those in the LGBTQ community are far more likely than others to use social media to interact about depression, the survey found. It found that 55 percent of teenaged girls and young women said they went online for information about anxiety, compared with 29 percent of males. “More than three out of four LGBTQ youth (76 percent) say they have looked for online information about depression, compared to 32 percent of straight youth,” the survey read. And three-quarters of all teens and young adults with depression said they had used health-related mobile apps. “One issue that many observers worry about is the possibility that young people’s use of social media may be contributing to the rise in adolescent depression,” the report reads. It is not necessarily helping, but it’s not hurting, either. According to the survey, 25 percent of those with moderate to severe symptoms said they found social media helpful when they felt depressed, stressed or anxious, compared with 13 percent of those with no symptoms of depression. About 30 percent of them said it made them feel better to use social media, while 22 percent said it made them feel worse. Nearly half said it really did not make a difference. “It's much easier for me to reach out for help on social media than in person. There's less pressure and I can leave it there and live my life outside of it without thinking about it too much,” commented a 22-year-old Latina woman who was surveyed. Their comments were all reported anonymously for privacy reasons. Many form private chat rooms on apps such as Instagram, which allows users to block all but a few chosen followers. More teens are attempting suicide. It's not clear why. It’s clear why sufferers would want to choose their audience. People who posted more publicly — 38 percent of those with depression — said they got negative comments. About a third said they felt others were doing better than they were and 31 percent said they had been trolled by someone creating conflict on purpose. “Whenever I'm having an anxiety attack I have to put down my phone and calm down,” commented another survey participant, a 22-year-old black woman. Even those who are trying to help may end up hurting, Miller said. “There is bad information out there,” he said. “You hear this whole ‘pull yourself up by your bootstraps’ stuff." And many feel left out when they look at social media. That’s a big danger, Miller said. “I can’t say that enough. The key element of our social networks is to be connected,” he said. People who have survived suicide attempts say that feeling left out is one big factor. The survey does not provide any clear conclusions, but rather a snapshot of how people with depression — those willing to be surveyed — are using tech. “There is no one-size-fits-all solution here,” Miller said.